Having a rhinoplasty is a major life decision. Excitement, anxiety, doubt, hope and joy are all involved. Rhinoplasty is a journey on which both the surgeon and patient travel together. My role, along with my staff, is both to provide a technical service and to support you throughout the process. 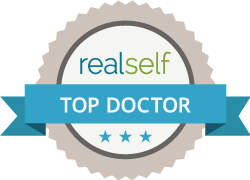 I believe cosmetic surgery is a healthy option for many people. We live in a visual world. We develop an image of ourselves and this influences our self worth and how confident we feel. Improving our appearance can have an amazing positive effect on how we feel about ourselves. Witnessing this transformation is the joy I receive from what I do as a surgeon. I’m a first-generation immigrant from Scotland and have lived my life in the east end of Toronto. My career has evolved to where, several years ago, I started to focus exclusively on rhinoplasty surgery. My philosophy includes a belief that a surgeon must dedicate himself to master the art and science of rhinoplasty. Rhinoplasty is a service, and like all services, the quality varies. The outcome of rhinoplasty can not be precisely controlled, and success is a matter of probability. Surgeons who are skilled and experienced have the highest probability of achieving success. I have created an environment and process to make a patient’s rhinoplasty experience as easy as possible with the highest rate of success. Ever since I can remember, I have been expressing myself through pencil sketches, paintings and sculptures. Working with my hands has always been a passion of mine. When I discovered Rhinoplasty, I felt a creative connection. In essence, I am hand-crafting an aesthetically balanced sculpture, but one that brings someone life-changing happiness. I still, to this day, spend time painting in the more traditional sense, yet I feel every day I am working as an artist inside my profession. Being able to see the end result in my mind, and know what needs to be done now, for it to look perfect in the end… is a true art form. It is a craft that I can confidently say I have mastered over the years. Dr Oakley Smith graduated from the University of Toronto School of Medicine over twenty years ago. He trained as a General Surgeon at Dalhousie University and then as an Otolaryngologist at the University of Toronto. Dr Oakley Smith further trained under the direction of Dr Calvin Johnson, one of the world’s best and foremost authorities in cosmetic rhinoplasty and plastic nose job surgery at Tulane University in New Orleans. He currently is an assistant professor of Otolaryngology-Head and Neck Surgery in the division of Facial Plastic and Reconstructive Surgery at the University of Toronto and is the former Surgeon-in-Chief of the Department of Otolaryngolgoy-Head and Neck Surgery at the Toronto East General Hospital. He has privileges at North York General Hospital, The Scarborough Hospital and Toronto Cosmetic Surgery Institute and Cosmedical Rejuvenation Clinic. As a leading Toronto rhinoplasty surgeon, Dr Oakley Smith is responsible for the rhinoplasty education of Toronto’s future Otolaryngologists-Head and Neck Surgeons and is active in the continuing medical education of surgical specialists. He is a program director of the American Academy of Facial Plastic and Reconstructive Surgery. Specialists from around the world wishing to enhance their rhinoplasty skills are mentored by Dr. Oakley Smith under this program. There are less than fifty programs world wide. He is also director of the Nasal Function Laboratory at the Toronto East General Hospital. Dr Oakley Smith is the former section chairman of Otolaryngology-Head and Neck Surgery of the Ontario Medical Association. He has been practicing in Toronto for over twenty years. Dr Oakley Smith, a Toronto rhinoplasty surgeon, is a well known Otolaryngologist who practices in Facial Plastic Surgery of the nose. He is one a very small group of surgeons in Canada practicing exclusively Facial Plastic Surgery of the nose, or rhinoplasty. He is the only surgeon in Ontario concentrating only in the area of rhinoplasty. He is certified by the Royal College of Physicians and Surgeons of Canada in Otolaryngology-Head and Neck Surgery. He is also certified by the American Board of Otolaryngology-Head and Neck Surgery and the American Board of Facial Plastic and Reconstructive Surgery. Dr Oakley Smith specializes in cosmetic and plastic nose job surgery, or Rhinoplasty. His surgical practice is focused exclusively on aesthetic, cosmetic and/or reconstructive nose job surgery. He is one of a hand full of surgeons in North America who limits his practice to Rhinoplasty surgery and is one of the busiest and best cosmetic nose job surgeons in the country. He has invented new techniques in nose job surgery, refined rhinoplasty methods, designed new rhinoplasty surgical instruments and is constantly involved in improving the management and treatment of cosmetic and plastic nose job surgery or rhinoplasty. He is an experienced and skilled Toronto rhinoplasty surgeon.